Professors of entrepreneurship, management and finance. Business Plan Competitions for students and grads. Previously, Roer was Executive Director of the Connecticut Venture Group for fifteen years and manager of the Crossroads Venture Fair. 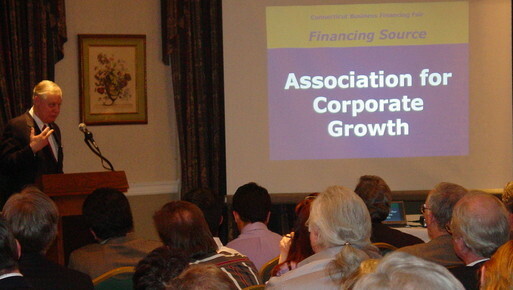 speaking to CEOs on financing. 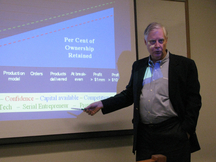 The author served as project manager for a business-education curriculum [LEFT] that included a text, teacher guide, accounting software, computer-based managment simulations, and audiovisuals. Components have been adopted by school systems in over 20 countries.